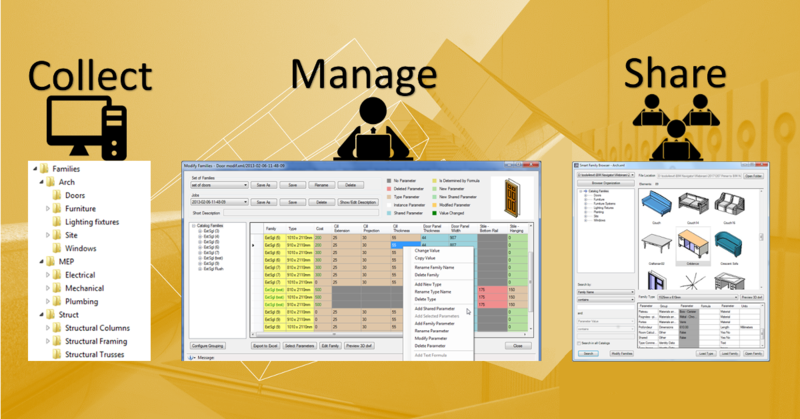 In this webinar, we'd like to present to you the brand new version of our MEP Hangers software that has more power, handsome good looks, new features, and greater speed. 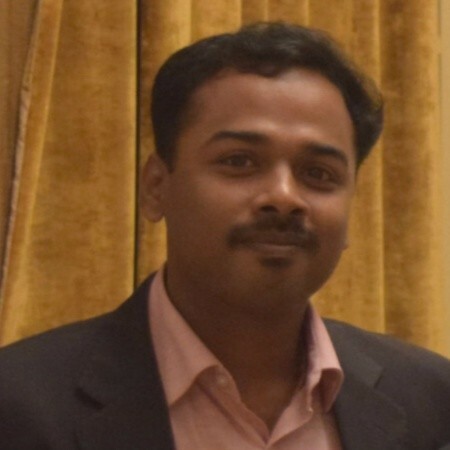 NEW software engine! NEW software interface! NEW workflows! NEW (↑) software speed! 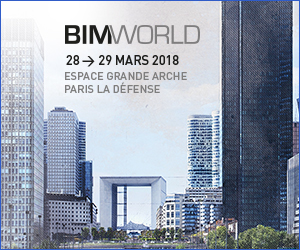 AGACAD will be in Paris for BIM World on March 28-29. We’re very glad to be sharing a stand with our French partner Eurostudio. 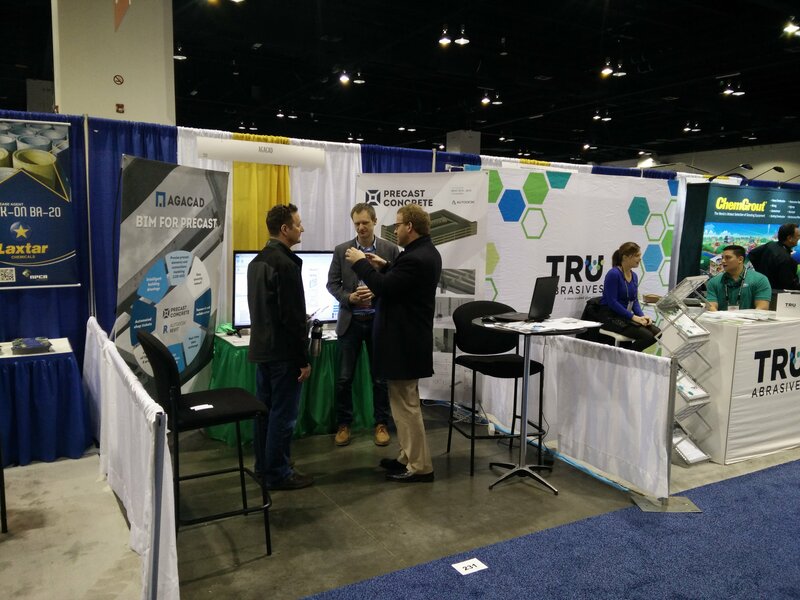 Come see us at booth 202! At this event, our team will be showing our lineup of Revit tools as well as demonstrating BIMAXON, a new-generation BIM platform that gives real-time access to data from whatever sources are being used (Archicad, IFC, Navisworks, Revit, Tekla, etc.). One of the primary purposes of BIMAXON is to reduce the information delivered to BIM actors to only what's necessary – no more, no less. And of course delivering it at the right time in the building life-cycle process. That means eliminating unnecessary information that clogs up our heads and IT systems. Which translates into increased efficiency and accuracy all around. 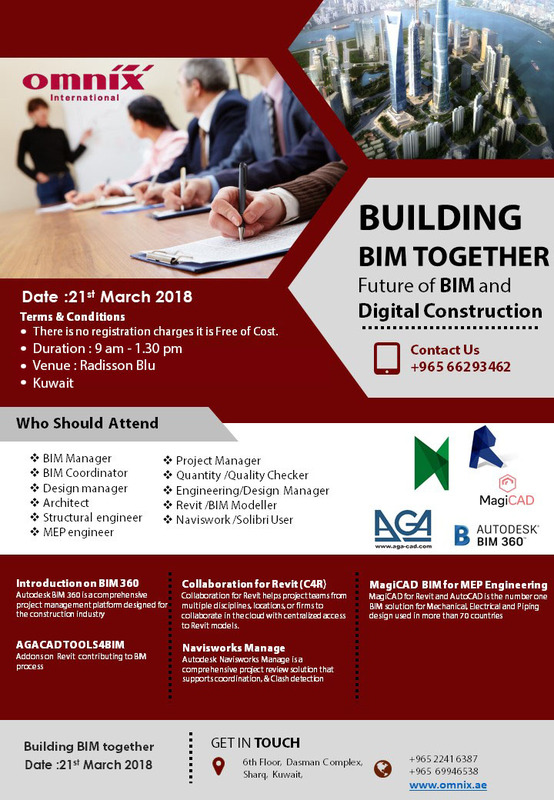 This month, our partner in the Middle East, Omnix International, and their partner, Promedia Qatar, are hosting seminars entitled “Building BIM Together: Future of BIM and Digital Construction”. They will be held in Qatar and Kuwait. For those located in either of these countries, this is an excellent way to get a close-up look at some great BIM software! This webinar is about efficiently framing architectural curtain walls or curtain panels in Revit. See how to quickly and easily frame architectural curtain walls or panels using AGACAD's Metal Framing Wall and Smart Details software. Ideal for modelers, designers, engineers, or architects working in Revit. As you may already know, our framing software for Revit not only creates multilayered frames for walls, floors, and roofs but also assists in designing high-quality ventilated facades, architectural curtain walls with highly detailed elements, and you guessed it – frames with structural insulated panels (SIPs) or cross-laminated timber (CLT). The software’s powerful and flexible features automate design tasks for all kinds of structures – it‘s just a matter of figuring out a workflow and using the required families! In this webinar, you’ll see how to create frames with SIPs and CLT for walls, floors, and roofs by using AGACAD’s Wood Framing software and sample families. The 2018 BIM in Practice conference will take place on April 5 in Saint Petersburg, Russia. This is the 6th annual conference for construction, development, and design companies hosted by our partner PSS Graitec, and we're proud to be a part of it – AGACAD CEO Donatas Aksomitas will speak about international BIM language. The conference theme this year is scenarios for BIM uses in investment and construction projects. The Precast Show 2018 took place at the end of February, and what a terrific event it was for us to attend and exhibit at! 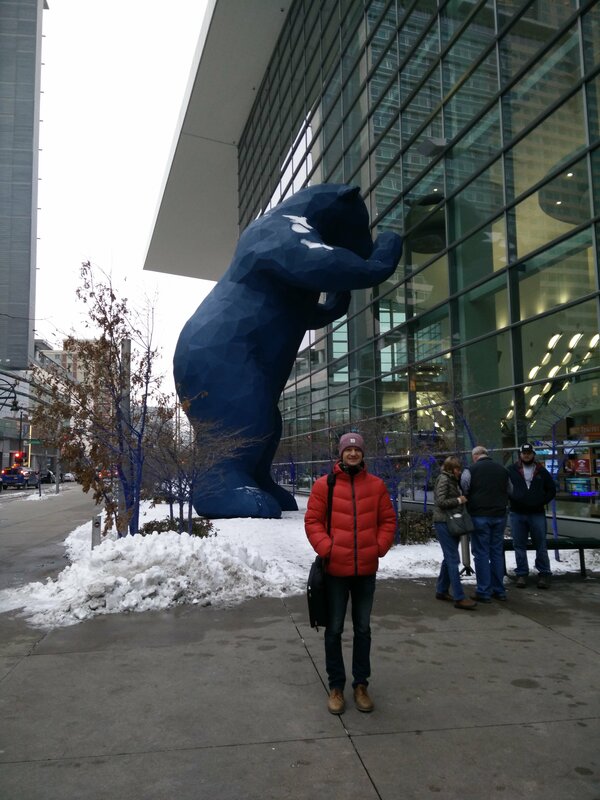 The venue, the Colorado Convention Center in Denver, was fantastic with plenty of space for the hundreds of exhibitors showing off everything from big rigs and various precast equipment to engineering consulting services and software like us. 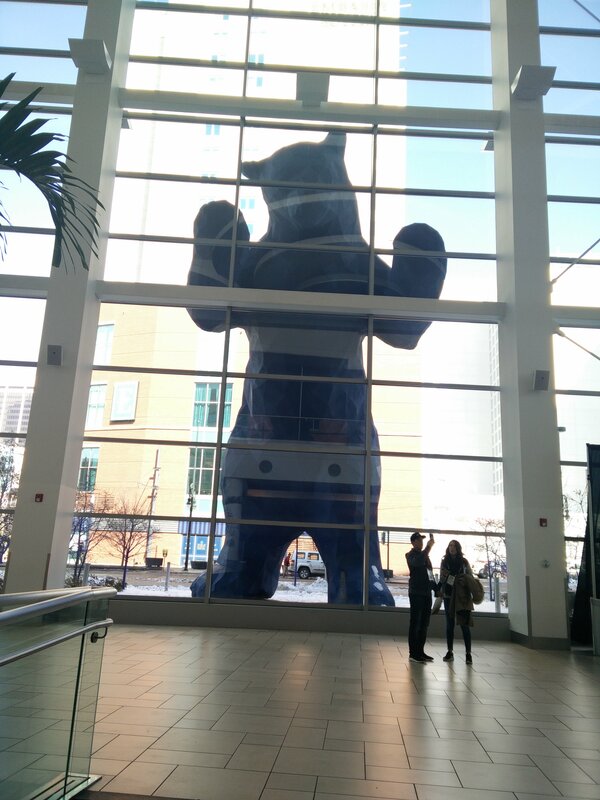 Here's the big blue bear looking in on the action from outside the convention center atrium. We'd like to extend a big THANK YOU to everyone who visited our booth! 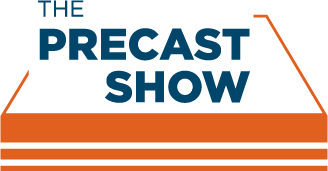 AGACAD will be heading to the Mile High City this week to exhibit at The Precast Show – the largest trade show in North America exclusively dedicated to precast. Naturally we’re looking forward to this outstanding opportunity to showcase our software to the industry in the US! If you're not familiar with our precast software for Revit®, here's a quick summary of how it supports the advancement of the precast industry. Our 2018 webinar season continues with our fourth installment on February 22nd. This one is about sharing Revit® content in BIM team. We kindly invite all Revit users, BIM content creators, and BIM managers to join in this webinar! Content updates, tracking changes, quality control & more! Thanks to all who attended our recent webinar on Precast Concrete. Our engineer showed how to model a precast parking garage, complete with detailing and shop drawings. This webinar was unique because he showed how to use Metal Framing Floor+ to add double tee slabs. He put together the condensed version of the webinar below to show the process of modeling a parking garage the way he did.